We can’t say whether it happened by accident or on purpose, but a U.S. unmanned spy aircraft broadcast its position for everyone to see while flying a long mission over northern Libya. It’s not a secret that U.S. Air Force RQ-4 Global Hawk UASs (Unmanned Aerial Systems) belonging to the 9th Operations Group/Detachment 4th of the U.S. Air Force deployed to Sigonella, Italy, from Beale Air Force Base, California, have been flying ISR (Intelligence Surveillance Reconnaissance) missions in support of EUCOM, AFRICOM and CENTCOM theater mission tasking since 2011. The Global Hawks of the flying branch had their baptism of fire on Mar. 1, 2011, and were the first to fly over Libya to perform high altitude Battle Damage Assessment sorties on targets located in regions with a residual SAM (Surface-to-Air Missiles) and MANPADS threat after Operation Odyssey Dawn was launched on Mar. 19, 2011. From their deployment bases in the middle of the Mediterranean Sea and from Al Dhafra, UAE, the HALE (High Altitude Long Endurance) drones are regularly tasked with intelligence gathering missions over North Africa, East Europe and Middle East: in March 2015, the U.S. Air Force acknowledged the involvement of the RQ-4 Global Hawk unmanned surveillance aircraft in the air war on ISIS not only as an IMINT (Imagery Intelligence) platform but also as Battlefield Airborne Communications Node (BACN) platform, that replaces the imagery sensor package normally installed in the aircraft, to support ground ops by relaying communications between people and aircraft as well as enabling airstrikes on the Islamic State militants. Like all the other spyplanes, during their (long) sorties, these strategic ISR drones typically tend to keep a low-profile: they operate in “due regard” with transponder off, with no radio comms with the ATC control, using the concept of “see and avoid” where the pilot flying is responsible for avoiding all traffic conflicts, much like a VFR flight plan without flight following. For this reason it should not be possible to detect RQ-4s on clandestine missions using “simple” commercial receivers like those feeding online flight tracking systems such as Flightradar24.com, PlaneFinder.net or Global ADS Exchange. But Global Hawks could be tracked online over Ukraine beginning on October 2016 and, for the very fist time, while conducting a 21-hour mission over northwestern Libya on Feb. 4, 2017. 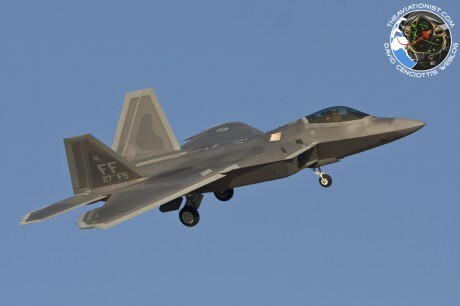 Indeed, yesterday an RQ-4 could be tracked on FR24.com taking off from Sigonella airbase around 1.30AM UTC, climb to 46,000 feet over the sea then head towards Libya where it circled for several hours. Eventually the UAS returned to Sigonella in the late evening landing after 22.30 UTC, some 21 hours after take off. By the way, on the very same day there was another U.S. RQ-4 drone tracking again over Ukraine…. The reason why the strategic drone was visible on the Internet for everyone to see (including the bad guys) remains a mystery. Just another case of inaccurate use of ADS-B transponder? We have documented OPSEC failures exposed by online flight tracking, reporting about special operations planes clearly tracking over or near “danger zones” for nearly a decade. We have informed the U.S. Air Force and other air forces that their planes could be tracked online, live, several times, but our Tweets (and those of our Tweeps who retweeted us) or emails have not had any effect as little has changed even though this author has received several emails from USAF pilots and aircrew members who wanted to say thank you for raising the issue. Sometimes the reason for making an aircraft visible on FR24 can be deterrence: they purposely broadcast their position to let “the others” know a spyplane hunting terrorists is there. Was this the case? Hard to say. H/T to the always alert @CivMilAir for the heads-up!